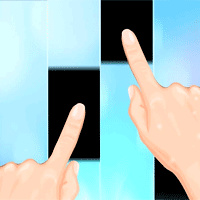 Piano Tiles Play smooth, relaxing music like a pro with Piano Tiles! Touch the right block at the right time to keep playing and avoid touching the red ones. You can choose between many different modes to suit your preferences. May sound easy but, just give it a try.Your concantreate will be better if you play this game.have fun.